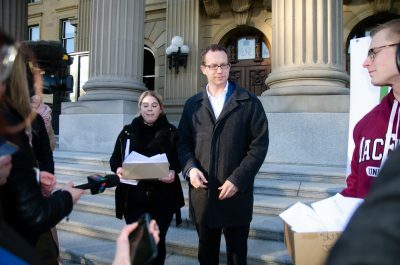 Representatives from the Council of Alberta University Students (CAUS) delivered over a thousand letters to the Minister of Advanced Education asking for a sustainable policy on tuition. The campaign encouraged students to write letters to the minister encouraging the release of the tuition review, upcoming legislation that will regulate post-secondary institution’s ability to set tuition levels, which was expected to be released in fall 2017. LeBlanc said some of the letters gathered by the campaign were written by students facing financial pressures while attending university, illustrating the need for predictable tuition levels. 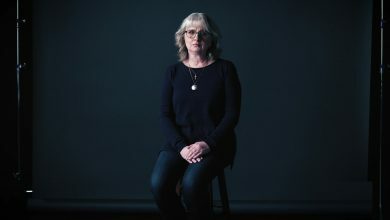 When receiving the letters, Schmidt acknowledged that Alberta’s post-secondary participation rate needed to improve and agreed that financial barriers need to be addressed. 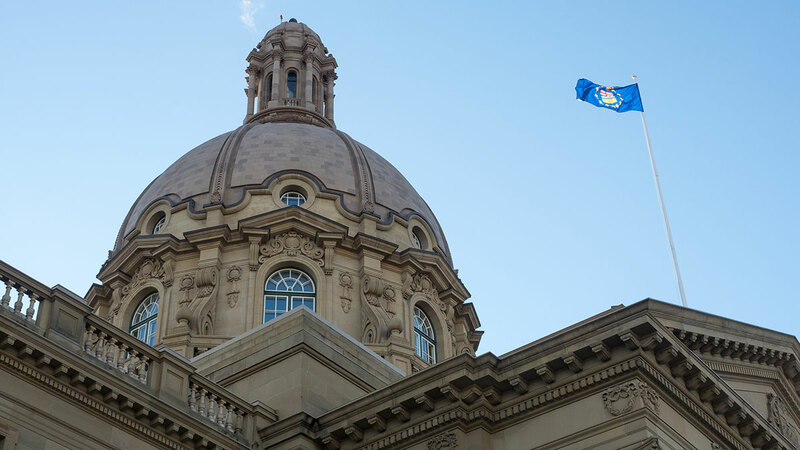 “We don’t want finances to be a reason Albertans choose not to go to higher education,” Schmidt said. Bieman said he hopes the tuition review will tie increases to domestic student tuition to inflation. 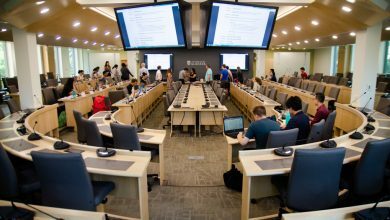 Additionally, LeBlanc hopes that the tuition review will address the lack of regulation around international student tuition, as international students are more vulnerable to tuition increases. 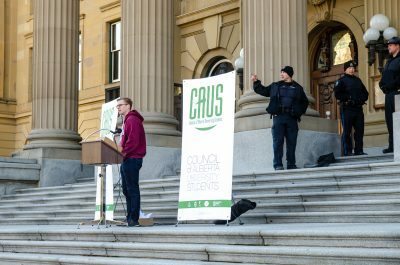 A three-day tabling event getting students to write letters to the minister was also held at the U of A from October 16 to 19. 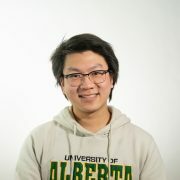 Adam Brown, vice-president (external) of the U of A Students’ Union, said the tabling event produced about 200 of the 1,500 letters that were delivered to the minister. Work on the tuition review began in October 2016 and was initially expected to be released in fall 2017. However, the review was not released and the government extended the tuition freeze for the 2018-19 academic year. 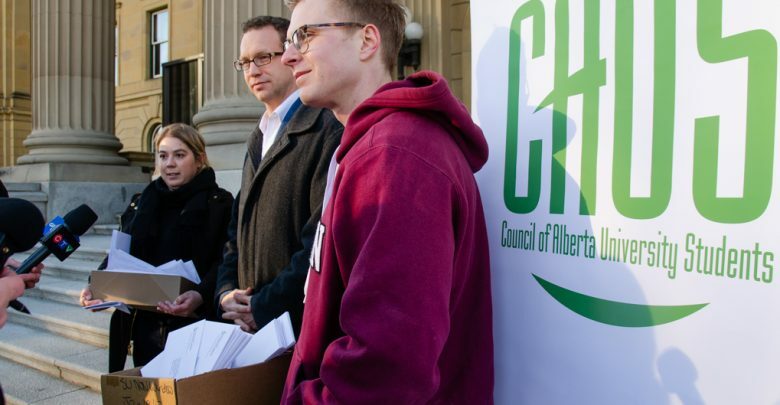 During the press conference, Bieman said he is “thankful” for the tuition freeze the Alberta government put in place while the review was in progress. However, he said a further continuation of the freeze would be detrimental and worried that tuition could see a sudden rise once the freeze is lifted. 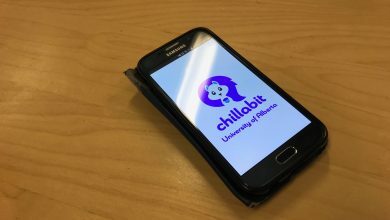 “We truly believe that to continue the tuition freeze is a band-aid solution that will result in negative outcomes for students,” Bieman said. While Schmidt said the tuition review will be tabled during the fall sitting of the legislature, Bieman said the wait has been frustrating.